Jaipuria Institute of Management’s alumni are extraordinary in ways. Our alums’ contribution to the b-school is unarguably remarkable, helping the entire community of Jaipurians move the world forward- one at a time. 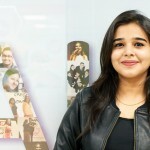 Located across various parts of the country and the globe, our alumni help juniors make the best of their PGDM- sometimes through webinar sessions around multiple topics, through frequent mentoring, through guest lectures on campus, counseling them rigoruously before pre-placement season and what not! 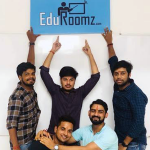 Apart from being ambassadors, they have built formidable reputation for themselves as source of inspiration for their juniors. Jaipuria Institute of Management’s alumni take out valuable time from their busy schedules and fly down to the campus (that was once home for them!) to provide their guidance. 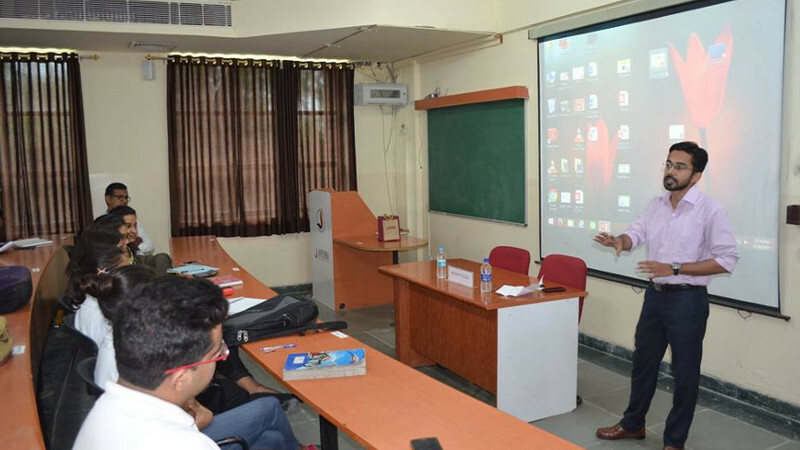 Often, the guest lectures are conducted by students from the most recent graduating batch. This is beneficial for the students, most specifically because these alumni can provide the latest insights into the job market and placement preparation having been through the process themselves most recently. Dr. Lokesh Vijayvargy, Dean- Student’s Affairs welcomed Bennett who provided valuable insights into Mahindra Finance. He also educated the students that skills like communication, situational handling and attitude play an important role during placements. His practical tips on reading newspapers regularly, forming peer groups to focus on industries, and to polish GD/PI skills with help of these peer groups were particularly useful. Bennett also guided the students to zero down the company on the basis of Job Profile, package, location, and growth. Akshat and Aarushi specialized in Finance and Marketing respectively and were first among students who got placed in Deloitte, besides receiving the highest package of their batch. Since Deloitte is a favoured recruiter, students were particularly interested in the insights that this session promised. The alumni spoke about building focus at an early stage and how students can be successful by concentrating on skills and knowledge. Specifically, the alumni covered aptitude tests, skill requirement, interview preparation and emphasized extensive participation in events. They also stated the paramount importance of LSRW and being able to talk through the SIP experience for placement interviews. 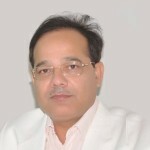 Pragnesh Mehrunkar, Client Success Manager (Media Planning) Kenscio Digital Marketing Pvt. Ltd. The popularity of Digital Marketing made this particular session particularly interesting for the students. Pragnesh spoke about his responsibilities in this exciting field and walked students through aspects of client pitching, proposal preparation, negotiation tactics, and client service. 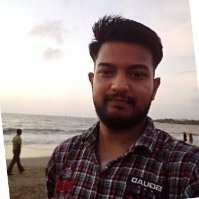 He spoke about how undergraduate specializations do not matter in this field and how important it is to build domain expertise in Digital Marketing for success. He also discussed the current trends such as banner ads, jacket ads, video ads, email marketing, and dynamic emails.